The offence of Low Range PCA (Prescribed Content of Alcohol) is committed when a person drives with a blood alcohol concentration of 0.05 to below 0.08. Penalties include a fine and licence disqualification, and vary according to whether this is a first or repeat offence. A criminal conviction may be recorded. Low Range PCA is at the lower end of the drink driving spectrum. However, all drink driving offences are considered to be serious, and you still face significant penalties. Most people who are prosecuted for this offence are genuinely surprised that they were over the limit. Quite often it comes down to a miscalculation about how much alcohol can be consumed or how long it takes for alcohol to be eliminated from your system. If your reading is in the Low Range, it may be possible to challenge the reading. It is important to note that police give you a certificate stating the blood alcohol concentration at the time of analysis – not at the time of driving. Quite often there is a difference between the two readings, although the different reading might still be within the same range. However, there are many instances where we have successfully challenged the reading and had the charge withdrawn – avoiding a criminal record, avoiding a conviction and avoiding loss of licence. What are the penalties for Low Range Drink Driving in NSW? If you are found guilty of Low Range Drink Driving / PCA, you may have a criminal conviction recorded against you. This can affect your life in a number of ways, including your employment and your ability to travel to certain countries. The penalty for a first offence within a 5 year period is a maximum fine of $1,100 and an automatic disqualification period of 6 months which can be reduced to not less than 3 months. It is possible to have no conviction recorded under Section 10 of the Crimes (Sentencing Procedure) Act and we can advise you of your prospects of achieving this result. If this is your second major offence within a 5 year period, then the maximum fine increases to $2,200 and the automatic disqualification period doubles to 12 months, able to be reduced to not less than 6 months. We can however apply to get your licence back in only 3 months. We will provide you with advice in relation to character references, likely court outcomes, Traffic Offender Intervention Program attendance, Interlock Programs and much more. Although it doesn’t happen very often, in certain circumstances the court may grant you an exemption to the Interlock program for a second offence, which means the disqualification period increases. Low Range Drink Driving / Low Range PCA is taken seriously by the court, because of the risk of injury to members of the public that drink driving poses. The disqualification periods and fines are harsh, and can cause significant problems in your daily life. This is a course which you can choose to sign up for. During the course, you will learn about traffic rules, why it is important to keep them and the potential consequences of failing to do so. After completion of the course, a certificate will be provided to the court, which may be taken into account in your sentencing. If you have been found guilty of your second drink driving offence within five years, participation in the Interlock program is mandatory. Under the program, a device fitted to your vehicle will prevent your vehicle from starting if you blow over zero. It is crucial that you obtain legal advice promptly once you have been charged with Low Range Drink Driving / PCA. We can outline the likely penalties, and advise you on the steps to take immediately after you are charged, which can assist in establishing potential defences. Our client failed a random roadside breath test. He was arrested and taken to the police station to provide a breath analysis. The machine recorded a blood alcohol content of 0.052, and our client was charged with the offence of Low Range PCA. Our client was provided with a field Court Attendance Notice, requiring him to appear at Windsor Local Court. 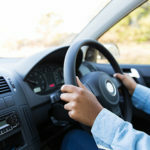 On this offence alone, our client would have faced a minimum disqualification period of three months without a driver’s licence, in addition to a fine of up to $1,100. However our client had been convicted of another drink driving offence in the past five years. This meant that he potentially faced increased penalties if convicted. It was very important to our client to keep his driver’s licence – but an outright dismissal of the case seemed unlikely given our client’s prior record. Our client told us he was most likely still in the absorption phase when he was pulled over, meaning that his blood alcohol content would have increased after the roadside breath test. On our advice, he obtained a pharmacological report, with a view to establishing whether his blood alcohol concentration may have been below 0.05 at the time he was actually driving the car. If the pharmacological expert was able to form a view, on the balance of probabilities, that our client’s blood alcohol level was below 0.05 at the time of driving, our client would have a defence to the charge. In these circumstances, the pharmacologist engaged on behalf of our client provided an expert evidence certificate and expert evidence statement which stated that our client’s blood alcohol reading was in fact below 0.05 at the time of driving and therefore the charge could not be maintained against him. After we provided the police with our client’s pharmacological report, they obtained their own pharmacological report through the Police Forensic Medicine Unit which agreed with our expert’s findings. Accordingly, the charge against our client was withdrawn and dismissed. Obviously our client was thrilled with this outcome. The legal system can be very complicated and confusing. If our client had simply accepted the charge and pleaded guilty or not challenged the reading, he would almost certainly have lost his driver’s licence for some time and most probably would have lost his job as a result. Can I Avoid A Drink Driving Conviction? Yes – in certain circumstances. Most people plead guilty to drink driving offences. It is possible that no conviction is recorded based upon your excellent character, good driving history, circumstances of the offences, your health, age, antecedents, mental condition and much more. There is specific provision within legislation that allows a Court to arrive at this decision although it is a discretionary matter for the Magistrate. In some instances, the matter should be defended, or at least the possibility of defending the case. It may be possible to challenge the breath analysis reading. Time limits apply to police demanding a breath test and breath analysis or blood test. There are restrictions on where a police officer can demand a test – for instance not in your home (the meaning of home is not necessarily limited to inside your house!). For accurate advice about your case, contact our criminal defence specialists or drink driving lawyers. How Do You Know If I Can Challenge The Breath Analysis Reading? Our traffic experts will ask you to provide us with information about you and your drinking history, events leading up to you being tested and more. We will get information from the police documentation that you have been given and we will obtain other information from the police. We can then advise the likely prospects of being able to challenge the breath analysis. Remember it is the time of driving that is important – not the time of analysis. If we are successful in challenging the reading and you hold a full licence, the charge against you would be withdrawn or dismissed. If Convicted of Drink Driving Will I Be Disqualified? Yes. The automatic period will apply unless reason exists to reduce that period towards or to the statutory minimum. So The Automatic Disqualification Period Can Be Reduced? Yes. There are 3 circumstances set out in the Guideline Judgment for High Range Drink Driving that have filtered down to mid range and low range matters that have a direct bearing on whether the automatic period of disqualification should be varied. There are also subjective circumstances, such as a good driving record, that will assist, as well as in some cases an analysis of the objective seriousness of the offence. Presentation of your matter can make a big difference to the ultimate result. If your licence is important to you, seek legal advice from one of our criminal defence lawyers or traffic experts today.